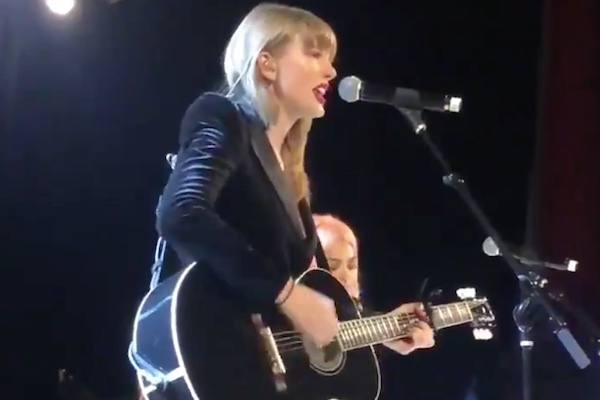 Taylor Swift dropped by Jack Antonoff’s fifth Ally Coalition benefit concert for a surprise performance of her hit song “Delicate.” Ally Coalition advocates and raises funds for at-risk LGBT youth. Swift joined lesbian singer Hayley Kiyoko at Town Hall in New York for a duet of the single. Other musical performers included Bleachers, Mitski, Rostam, Regina Spektor, fun. band member Andrew Dost and Lana Del Rey. Former “Saturday Night Live” cast member Sasheer Zamata also performed a stand-up set.